The ash of various biomass in combustion causes a number of problems in the pulverized system. That's because the pulverized system is designed to burn coal. Does not the coal also produce ash after burning even more quantity? Yeah right, but the chemical content of coal ash is different from that of biomass. The difference is that coal ash contains a lot of heavy metals such as arsenic, cadmium, mercury, selenium, lead, and nickel which have high melting point so it does not cause problems to the pulverized, whereas biomass ash mainly contains alkali metals such as potassium and alkaline earths are calcium, which has a low melting point so it creates a problem on the pulverized. The content of coal ash is also much larger compare with biomass ash content. What is the problem with the biomass ash chemistry? There are several problems caused by the ash chemistry on the pulverized system, namely slagging and fouling. How to avoid it? There are several ways to avoid it, namely first, determine the exact percentage of biomass fuel in the pulverized system or co-firing. At the appropriate percentage of biomass fuel can be used simultaneously (co-firing) with coal. The type of biomass fuel also determines its percentage, eg wood pellets will have a larger portion than agro-waste pellets. Secondly, by modifying the coal-fired power plant so that it can even be 100% with biomass fuel such as wood pellets. 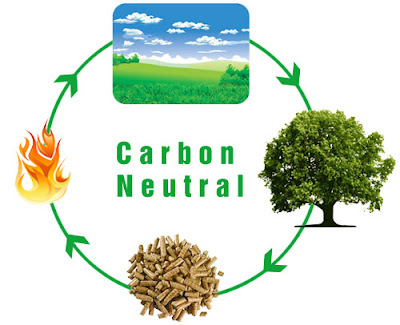 Burning biomass fuel in addition to environmentally friendly or carbon neutral, fewer CO2 emissions, SO2 emissions are also very small, very little fly ash even does not occur, and the ash is rich in potassium, and phospur so it becomes a good fertilizer for plants. While coal ash is otherwise and even categorized as dangerous waste due to the heavy metal content. Based on these things, it is natural that the use of biomass fuel continues to be improved even has become government policy in some countries. The entry point for massive biomass fuel usage is co-firing with coal. The modification of the coal-fired power plant has become an opportunity, so a number of companies have emerged to capture such opportunities as Ramboll and Doosan Babcock. While in Indonesia it seems still long enough to make biomass fuel has a large portion as a source of energy, especially in power plants, because there is no policy that supports it.